As Chief of Police, I join the men and women of the Fenwick Island Police Department in extending to you a warm welcome to our community. We take pride in the high-quality customer service we deliver to our residents as well as to our visitors. For those of you who are fortunate enough to live in Fenwick Island, you should know that I take the responsibility and the trust you have placed in me very seriously and that my efforts are focused on ensuring that you are provided with the highest caliber of police services possible. For those of you who reside elsewhere, I hope that you will enjoy your time in our wonderful town and all that it has to offer. 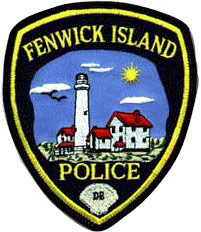 The men and women of the Fenwick Island Police Department stand ready to serve our residents and visitors in a professional and caring manner.